Our clients and members are always on-the-go, and we want to make sure that accessing your GigMasters communications is as easy as possible. To do that, we’ve made it our mission to give all of our emails a facelift, making them more sleek and mobile-friendly. 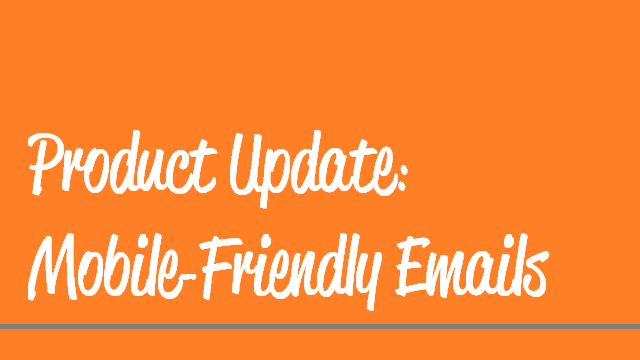 Mobile friendly emails – what does that mean? We’ll be updating all of our emails, starting with those that are most important and sent out most frequently. One by one we’re putting these emails in a new template that is designed to render much better on all mobile devices - iPhone, Android, tablet, you name it! We’re also adding big, snazzy buttons that will take you right where you need to go in your Member Control Panel. In addition to making messages look better, we’re also adjusting the copy to make things as clear and concise as possible. We know your time is precious, and these updates will make our emails read more efficiently. The first member email we’re tackling is your Lead Alert email, so stay tuned. You mentioned client emails…are those changing too? Yes. We’re also applying the same updates listed above to our client emails. 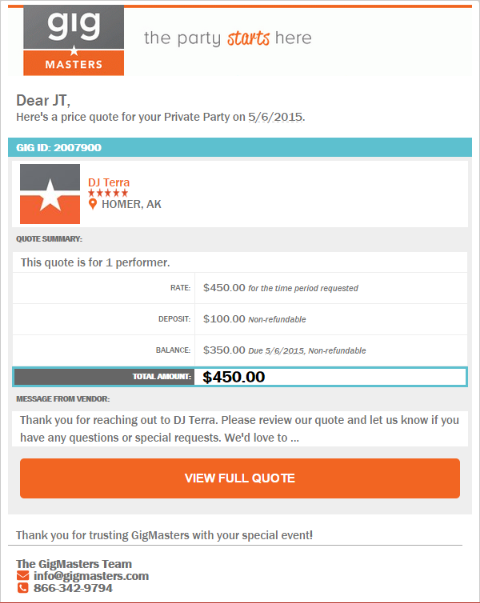 The first client email we have tackled is the GigMasters Quote Email. In case you’re not familiar with it, we’re referring to the email we send the client when you’ve submitted a price quote for their event. Why did you make changes to the Quote Email that goes to clients? We wanted to make this email more clear and concise. Now, it directs clients to their Control Panel so they can find all the information they need about you, and your price quote. It also allows for easy access to book you right then and there! That’s about it. We just wanted you to know that in the coming months, you’ll see updates to more of our emails, so don’t be surprised if you open one up and it looks like a million bucks!